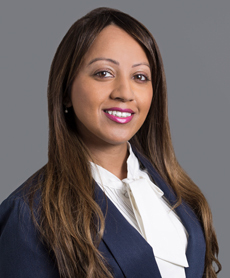 Ms. Singh joined Athyrium in 2018 and currently serves as a Business Support Professional. Prior to joining Athyrium, Ms. Singh spent nearly ten years at Soros Fund Management. While at Soros, her time was focused on managing processes and functions for C-level executives as well as firmwide technology projects and initiatives. Ms. Singh began her career as a consultant at Goldman Sachs where she worked closely with bankers worldwide in presentation coordination. Ms. Singh graduated with a B.S. in Telecommunications, with a minor in Business, from St. John's University and holds an MBA in Project Management from the Keller Graduate School of Management.